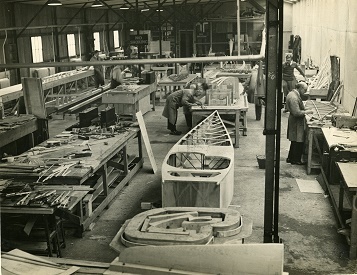 Ernest Oscar Tips was the manager of the belgian Fairey plant located at Gosselies since 1931. When the production of the Firefly and Fox biplanes permit, he conceived a collection of light monoplanes called « Tipsy ». After the relative success of the single seater « S.2 », he designed from the same formula a two-seater that was called « B » in 1937. Success was immediate and led to the almost simultaneous creation of two production lines in Belgium and in England where it was called « Trainer ». The B.A.P.A. 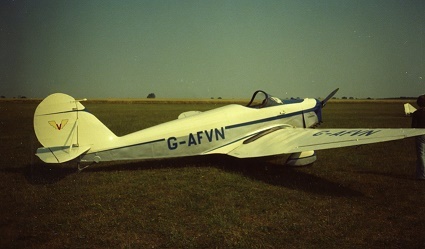 Trainer is nr 12 that was registered G-AFVN on 15/7/1939. First stored at the beginning of WW2, it was then used in camouflaged colours during the war years. Many owners then followed until it was grounded for permit renewal in 2003. It was sold in Belgium in june 2014 to five BAPA members and registered OO-DRY. It is currently in restoration to flying conditions.